"The only hope for humanity isn’t human. This couldn't be more made for me if it tried. Sounds really exciting and enthralling too, plus we don't have long to wait for it either!!! 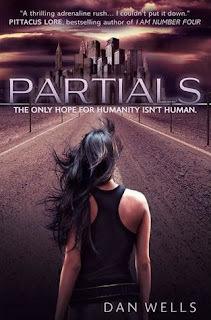 I can't wait for Partials! I live in South Africa so it will hopefully be out here soon after it releases in the UK. Great pick! This books keeps popping up. 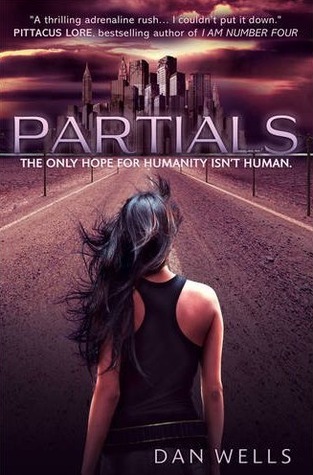 I'm not sure how I feel about the sci-fi aspect, but I would consider reading it. =) nice choice. I saw this in the bookstore yesterday and I nearly picked it up but backed out, now I am starting to regret that choice! I should read more synopses instead of just looking at the covers! haha! Great choice!! :) I've seen this book around a lot and it looks good :) Enjoy! This book sounds awesome. Nice pick! I bought it last Thursday, it's a really nice book! I recommend it for you guys. You won't regret reading it, it actually opens your mind for new things in life.